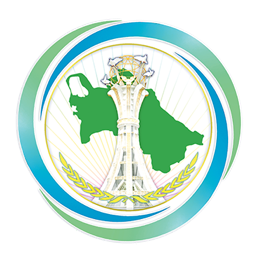 On the 1st of April 2019, a meeting was held at the Ministry of Foreign Affairs of Turkmenistan with the Ambassador Extraordinary and Plenipotentiary of the Republic of Bulgaria to Turkmenistan (with residence in Baku) Nicolai Yankov. In the beginning of the meeting, the Ambassador of the Republic of Bulgaria presented the copies of his credentials. Congratulating the Ambassador with the appointment to this high post, the Turkmen side expressed its readiness to provide assistance and support in the work of the Ambassador on strengthening bilateral relations. During the negotiations, while addressing the issue of political relations between Turkmenistan and the Republic of Bulgaria, the parties noted the intent to develop multilateral cooperation and preparedness to realize joint work on its further activation. In addition, the activation of multifaceted collaboration in the relations between Turkmenistan and the Republic of Bulgaria was stressed. In this regard, the parties considered the issues of developing cooperation in the framework of the UN and other authoritative international organizations. The matters of improving trade-economic relations were discretely discussed. The mutual interest in developing relations in the sphere of culture, as well as the widening of cooperation in the area of education was stated.